I’m heading back to college this week. 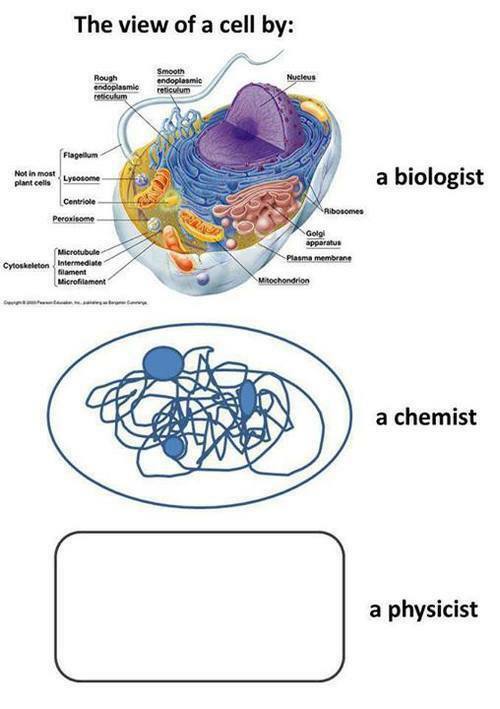 The difference between a biologist, a chemist, and a physicist. 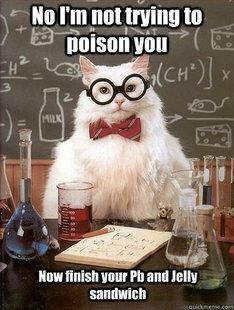 Take home message: learn the periodic table abbreviations. They could save your life. Sarin is a small, colorless, and odorless molecule with the chemical formula C4H10FO2P. It is entirely man-made and is, therefore, never found in nature. Although sarin gas is infamous as a chemical weapon, its intended use was as a pesticide. In the late 1930’s, German scientists developing new pesticides managed to synthesize the first sarin molecules. Today, the United Nations consider sarin nerve gas a “weapon of mass destruction” and have outlawed it. It should be noted that the German army did not use chemical weapons against the Allies during World War II. Countries stockpiling sarin nerve gas and its use in the Iran-Iraq War led the UN to ban it. As the name suggests, sarin nerve gas inhibits chemical signals between nerves. The final result is to prevent any muscle from relaxing. Sarin gas causes muscles to become stuck in their contracted or “on” state. In order to contract a muscle, the brain sends a signal through a series of nerves. 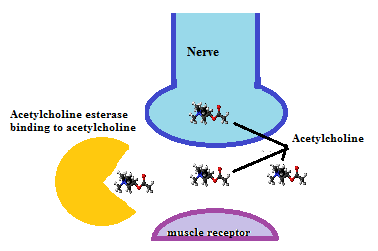 The nerves release acetylcholine, a neurotransmitter, which activates the muscle (See figure below). When the muscle needs to relax or “turn off,” an enzyme, acetylcholine esterase, binds to the acetylcholine molecules and disrupts its interaction with the muscle receptors. Without acetylcholine present, the muscles relax. Sarin inhibits this whole process because its highly reactive fluorine binds to the acetylcholine esterase preventing the uptake of acetylcholine. With acetylcholine continually activating the muscle, it remains contracted. Although sarin can affect every muscle in the body, it typically does the most harm when it reaches the lungs. Sarin forces the lungs muscles to stay “on” and prevents its victims from breathing, causing them to suffocate. Unfortunately, sarin gas is extremely toxic and fast acting. The lethal dose for an adult human is merely 1 mg. In comparison, the well-known poison cyanide has a lethal dose of 200-300 mg.
Fortunately, however, sarin is highly unstable and breaks down quickly. Depending on the environment, an area attacked with sarin gas is typically safe within days to weeks. Sarin undergoes hydrolysis (break down by water) to produce methylphosphonic acid and isopropyl methylphosphate. 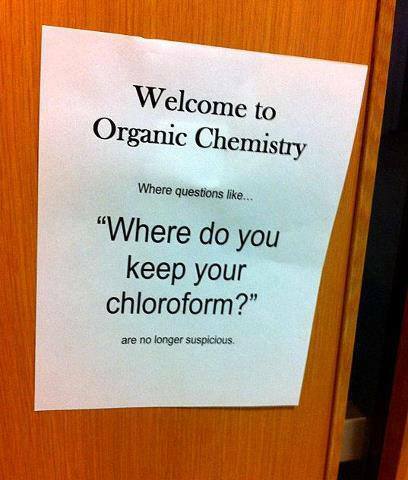 Both of these chemicals are relatively harmless and stable in soil. For this reason, when testing an area after a chemical attack, the detection of these two chemicals is considered evidence for the use of sarin nerve gas. It’s worth noting that finding out how sarin degrades required several hours of research. There was a substantial lack of information on the subject. In addition, scientists developed an antidote: a combination of atropine and pralidroxime. Atropine blocks acetylcholine and consequently allows the muscles to relax. Pralidroxime contains an extremely reactive N-OH group. The oxygen of this group reacts with the bound sarin and causes it to leave the acetylcholine esterase. Afterwards, the body can break down the free sarin into non-toxic chemicals. With the sarin disposed of, the acetylcholine esterase resumes its normal function. As deadly and frightening as sarin gas is, there is a small silver lining. Unlike other chemical weapons that often leave their victims permanently injured regardless of access to treatments, the nerve damage inflicted by sarin gas is completely reversible if the antidote is administered in time.